"I would strongly recommend against anyone trusting their private data to a company with physical ties to the United States," says Lavabit's Ladar Levison. When Edward Snowden of PRISM fame contacted human rights activists in July, he used a secure email from provider Lavabit to do so. Lavabit boasts asymmetric encryption, to protect user's data while it's on the Lavabit servers. Or at least, it did; Lavabit has shut down, its founder Ladar Levison claiming it was either close to or had already become "complicit in crimes against the American people." He says he daren't say more than that, under threat of legal sanction, and is preparing the paperwork "to fight for the Constitution in the Fourth Circuit Court of Appeals." Levison went on to advise against anyone trusting their data to a company with physical ties to the United States, and it would seem that at least one company has taken heed. Silent Circle, another secure email provider, has shut down its service voluntarily, claiming it has seen the writing on the wall. "Email is broken because govt can force us to turn over what we have," said CEO Michael Janke. Silent Circle is keeping its phone and text services active, since it doesn't store that data itself, but its secure email function is permanently offline. "We apologize for any inconvenience, and hope you understand that if we dithered, it could be more inconvenient," says company co-founder Jon Callas. 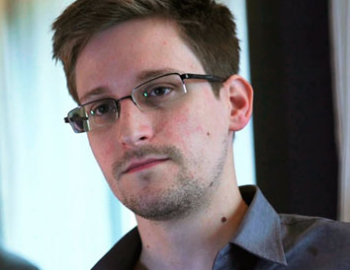 Snowden is currently in Russia, seeking asylum. This has caused a rift between Russia and the United States; President Obama recently cancelled a meeting with President Putin, citing the Snowden affair as one of the reasons why.